We’re excited to announce today at the 2012 International CES® in Las Vegas, Nevada, that we’ve launched a new cordless handset with HD Voice call clarity and smartphone features made possible by our cloud-enabled platform. Because Ooma is an Internet-based platform, it allows us to add innovative and useful features more typically associated with a smartphone and blend the mobile and home phone experiences. The new cordless Ooma HD2 Handset features a two-inch color screen and picture caller-ID with the ability to automatically display Facebook profile pictures and online contact lists from Facebook, Google and Yahoo. Ooma will make even more smartphone-like features available to our customers later this year through firmware updates, including customizable ringtones to help identify individuals or groups when calling. Ooma HD2 handset users who subscribe to Ooma Premier service (optional, $9.99/month) can enjoy even more advanced features such as an Instant Second Line(TM), Multi-Ring to simultaneously ring another phone, three-way conferencing, a second personal number anywhere in the U.S., call screening via the built-in speakerphone, and the ability to send calls directly to voicemail with the touch of a button. The Ooma HD2 Handset will be available in March 2012 at Ooma.com and select retailers with an M.S.R.P of $59.99. Update: We’re targeting to release the Ooma HD2 Handset in Fall 2012. I can’t wait, I’m sure this handset will exceed my expectations ! If its as good as my Ooma I’ll be smiling all the way to the bank. Do you have the ability to attach a headset? I installed the system, only to find out the phones you currently have do not have the ability to attach a headset. Let’s hope there will be a trade up program for customers owning original handsets. 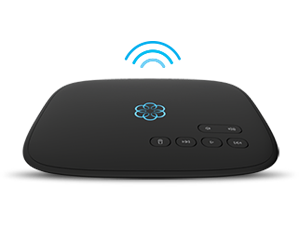 I have a Ooma Telo Platform. Am I going to be able to use this device(Ooma handset2) with my Ooma Telo? Ooma is fantastic, however lets hope this newly introduced handset is engineered whereby the phone doesn’t de-charge the battery as quickly. The current Ooma Handset’s which I bought in December 2011 have a talk-time of maybe at best 35-45 minutes, then the phone is dead. Ooma was gracious enough to replace the batteries in both phones, but the situation still persist. When I bought the Handsets I fully charged them 24 hours to ensure they would be fully charged before using. Hope the Ooma Engineers have fixed the issue. Four weeks ago I bought the Ooma system including the Ooma handset. The new HD2 hand set looks great will I get any type of refund for my recent Ooma handset purchase? I’ve been waiting for about three years for a new version of the telo handset. I’m pumped that I checked your website before purchasing today. Please email this kind of hoopla to your customers! Will the new Ooma HD2 Handset be included as one of the complimentary gift choices when an annual Premier Service is purchased? If so, when would that option start? THANK YOU for an awesome service thusfar…. I’m a new and VERY satified customer! As a happy Ooma customer, I will for sure go out and buy the new HD2 handset. I like that it’s affordable as well for purchase. Thanks Team Ooma for all your doing, love it! Include bluetooth with the new HD2 Handset and I am all over it! Any update on when in March the HD2 handset will be available? Is it for sale yet? We want one badly! When this month? I’ve been looking, since the ooma handset I purchased is really sub par to the phones I did have, I bought it and was excited for all the new features it provided and did provide. Major design flaw for what it was designed for. The phone calls are both extremely hard to hear and the person your talking to can barely hear you. Please tell me that the new one can fix these issues and add the exciting new features. Just waiting for the realease, wondering if maybe it’s going to be delayed? I just hope not all togther cancelled. I am still waiting for the “NEW” Telo handset to be released. Any timeline yet? Would you be bringing SMS facility to Ooma handset? That will be awesome and virtually an excellent replacement of cell phone in home. Any idea when the new Ooma HD2 Handset will be available? I don’t see mention of a headset jack on the new handset. I sure hope that basic feature will be included. “The Ooma HD2 Handset will be available in March 2012″ <- We are in April now, any word on availability? I went to order the new HD handsets today and was told they are not available yet even though my product page states I could just “click here” to purchase. I was told to wait until the handset was available on the website http://www.ooma.com or to check back with sales chat. It already says available on the website. Not a happy customer. I have been eagerly waiting for this HD2 handset. Initially it was announced that it would be available in Feb 2012, then March 2012. Now April 2012 is coming to end in another 2 weeks. When is the HD2 handset going to be available in the market/ with authorized resellers? March has come and gone, we are halfway into April. Does anyone monitoring this blog know what the revised date for offering the HD2 Handset will be? Is this out yet…I can’t seem to find it on the website. When will this product be available? It is mid-April with no announcement yet. Hello where can I find out more about your new Ooma handset and the lastest features. It is almost May and this new phoneset is not yet available. Please let us know when it is expected. As a New and satisfied client in Canada, I do a lot of promotion over m’y family and friends that already became clients too. But I Am trying to buy the Telo handset without success. How and When thé HD2 Will become available in Canada and where is Costco Will sale it ???? I was excited about the ooma smartphone & subscribed to Ooma Premier so that I could have a second line etc. BUT here it is May 3, 2012 and the phones are still not available!!! Available in March, its May and I’m still waiting, what’s the hold up! I can’t wait to see what other goodies you add to new phone. When will this Ooma HD2 handset be available? still waiting???? When is actual release? Please let us know the current anticipated date of release. I am eager to buy one of these. I hope the design was improved greatly from the last handset. As much as I love Ooma, the original handset was “lacking” to say the least. It was so bad after about 3 months, I stopped using it altogether. Terrible battery life, uncomfortable sharp edges, cumbersome GUI, bad range…. Why not tether telo to a tablet and offer video chat calling over bluetooth and wifi? IMO, tablet apps should be developed to subsitute for the telo handset. OOMA hasn’t proven they can develop good handset hardware, however they can make good software to boost value added applications to differentiate btw OOMA and the competition! Many people who are frugal enough to have OOMA are also gong to have a tablet vs an expensive cell phone data plan, this is a natural combination OOMA is neglecting to leverage in a way frugal consumers would like. Also, don’t charge extra for the OOMA mobile app & minutes, just come up with a sensible monthly allowance for basic and premier plans and go with it (recommend virtually unlimited for premier..–part of your 5k/mo). I use the Uniden DECT 6.0 handset, which works well with my Ooma Telo, but to get the messaging system to work; I am still waiting for the HD 2. Ooma service is what the world has been waiting for, since Graham Bell in the 19th century, or what Google is to the Internet service. Please Ooma, surprise us with the awesome quality and functionality of the new HD2 handset. I still have two Telo handsets but bought a Panasonic cordless phone system to add to the Ooma so I could get decent battery life, good call quality, logical button layout, ergonomic controls, and pride in manufacturing. Sadly all these things are what the existing Ooma telo handsets lack. I purchased the Ooma Telo VoIP Home Phone Service & DECT 6.0 Cordless VoIP Handset Package from Best Buy on 04/16/2012. I am very happy with my service and support. I am using the wireless option with the Ooma Telo in my router DMZ. So far everything is working fine. Except my microware interferes with the wireless connection. No fault of Ooma. I rarely use the microwave when I am on the phone. The Ooma handset is very stylish and I like the features. I wish it had more. The sound quality is not as good as my Panasonic cordless phones. The top row of buttons are not very responsive. I have to press them multiple times to make selections. The middle button is located very close to the center button. This new handset looks great. It would be nice to get a tradeup value for the other handset. I really only need one. I am glad to see the lower price on the new handset. I am really happy with my purchase and look forward to years of use and service. Great user forum! Thanks For The Great Cost Of A Good Service! Now they’re saying not available until until fall. In the mean time I need a handset and the old handset isn’t available. Amazon sellers are charging $150 for the old one. Three times the price. What am I suppose to do in the meantime Ooma? So, when will the vaporware actually materialize? It’s already 4 months overdue. This is starting to look more like an embarrassment than anything else. Ooma, I need a handset. The new one is still not released, the old handset is out of stock/production and sellers are price gouging. This is frustrating to say the least. Make something available please! Ooma, How about an update on the new HD2 handset. Does this mean you are also updating the BASE units as well ?????????? Your LOYAL customers want to know. The release can’t be too soon for me. My first Ooma Telo Handset is a disaster. I surely hope this one is much better. My battery drains after about 4 minutes and I’m constantly having to take out and reinsert the battery to make the handset work at all. 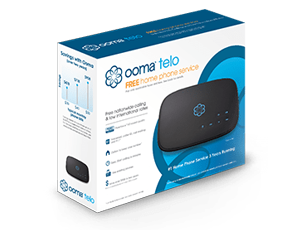 The Ooma Telo service overall is very good and I’m very pleased except for the function of the handset. I keep checking the comments of this post for an update. I really want to wait for this phone but i am afraid ill have to get a different brand to go with my ooma if it does not materialize soon. Love my service so far, but really starting to wonder about the handset. Any updates on availability? I plugged my Ooma Teleo into an AT&T 2-line corded base station with 5 cordless phones around the house. Works GREAT! I instantly had 6 locations with Ooma access via my existing cordless system. I also have a Plantronics headset connected to the base station phone which I use for business calls. Ooma is now on line 1, and my landline is on line 2 for now, but I plan on ditching the landline since this is working so well. 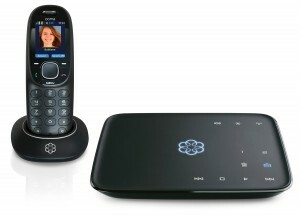 The Ooma HD2 Handset will be available in March 2012 at https://www.ooma.com and select retailers with an M.S.R.P of $59.99. Just a followup to what is not occurring, to wit: the release of the new Ooma Telo handset. I’m actually starting to feel ripped off. I signed up for the service, and call quality has been abysmal which I feel could possibly be resolved by an updated handset. I signed up for Premiere, with the expectation that the new handset would be made available as advertised. I didn’t want to buy the old style handset, just to have to upgrade so quickly. I wanted the Second Line feature (“There is no way to access the Instant Second Line unless you use an Ooma Telo Handset.”), one reason why I signed up for premiere. In essence, I’ve ended up wasting months of paid for service that I have not been able to utilize. Once I’m in the bail out window, I’m finished with this service. So for me the issue of when the handset is released (if ever) is now a moot point. As it is for a few other people I know that also signed up for Ooma. To bad, a good premise gone south. I hope they’re putting a fast processor in it, because the one on the current handset it way too weak. Better to delay a product than to release it with issues. I have 2 of the existing Ooma Telo handsets and they work fantastic. I get HD quality and 2 lines. @ Nelson – Your loss. Never sign up for anything until it’s released. Will we be able to use a headset with this new Ooma? Is it true that the HD2 hansets will make any original telo handsets incompatible with each other? Sharon, I’m wondering why on earth you’re trying to run your printer off of your Ooma device????? A wireless printer should run off of your wireless router. Software for it should be installed on your PC/Laptop to allow your PC/Laptop to connect to it over your wireless home network. The Ooma is strictly another device connected to your router on your home network…not a router itself. (unless I’m totally missing something in your post). I’m an IT professional, and I love my Ooma. It works wonderfully. I’ve never had an issue with it. I believe your issues may be with lack of understanding the technology in what you’re trying to accomplish. Sharron, would placing a small 5 port hub or wireless router after the ooma in your network be helpful? Seems like you want the ooma to manage network traffic for best call quality; but have a newer internet router with built in wireless. ensure ooma is wired to internet router, wireless is slower and i’d bet could impact ooma call quality. Connect your wireless devices to the 2nd wireless router that is in the network after the ooma, not the main access point. I’d think the ooma would then manage the network traffic and you’d have the best possible call quality. would this flow in your network do virtually what you want? small hub for wired or maybe even 2nd wireless router may be cheaper than monthly phone bills..
i’m considering a similar configuration but have not tried it yet. if anyone has let us know..
Sharon, you haven’t read the FAQs or instructions very well. You don’t need any adapter to get Ooma to ring your cell phone; just configure forwarding to ring the cellphone simultaneously. Ooma also explains in its FAQs that you can, indeed attach multiple devices to the single USB port by using a USB hub, which are inexpensive and widely available. It’s also hard to understand why you’d try to run a wireless printer via Ooma. What’s wrong with your wireless router? I have had my Ooma Tello for two years and it is connected to a wireless router by hard wire, I have wireless printer, several computers, two cell phones, Google TV, Apple TV, Sonos music system and all work fine. I do not want my cell phone to answer calls to Ooma though. @Sharon – I’m not sure what your wireless printer and Ooma have to do with each other unless you are referring to faxing from your wireless printer. If this is what you truly mean, your Wireless Printer/Fax has to have a hard connection with or without Ooma. Since you are using Ooma then it would have to be hard wired to the Ooma device. Your Ooma device can be setup to automatically ring your cell phone when you have an incoming call, so you don’t have to have a wireless USB device in order for this to happen. Quote: “I bought the adapter so that Ooma would ring on my cell phone and that worked but when my old fashion router crashed and I purchased an updated wireless one, Ooma wouldn’t recognize it and what is worse, I was told to get yet another adapter and did and guess what?” Anyone that I have helped setup a wireless connection to their modem worked perfectly each and everytime. Have you reviewed postings in the forums to see if you could find help there. I know it can get frustrating, but Ooma does work as it is advertized to work. I’m sorry to hear that you are having all these issues. I have been trying to get an estimated release date for the new handset, without success. Some estimated date would relieve a lot of frustration. At least we could decide if we want to return the whole system. I will be so happy when the new handsets are released. We have two of the older style and need three more to totally replace the panasonic phones we current use. The service is great and I will be using it for years to come. May we please have an update as to when we can order these units, I cannot find any of the old units and the call quality is very bad most likely due to the phones being used (silly eco mode phones) and I would like to purchase the phones that are supposed to go with this unit. Seems most people problems with Ooma is their router and not Ooma, Their is a simple fix for this and that is get a giga bit router that can handle high data traffic and plug everything into the router and not into Ooma and that will fix 99 percent of your problems. and don’t expect to get top quality sound with low bandwidth. @Sharon, not to sound mean but…it is true what others have said about your issue…I don’t think it is an Ooma issue rather than a lack of understanding the technology. You really lost me on the printer thing as well. I have had 2 Ooma systems ( one for my home business and one for personal) for about 5 years and no issues. I have DSL, Netgear wireless router and a ton of computers,sonos system, 2 wireless printers, networked TV and DVD players all sharing the same DSL line. Ooma is a device that taps into your network, like a printer. It doesn’t have anything to do with communicating with other devices on your network. As far as having your cell phone ring, that is like call forwarding , which is easily done from your Ooma desktop. ( It takes about 15 seconds to set up). Go back and read the directions as ooma is a good product as I have helped set up quite a few people that are very happy with the service. I have had ooma for a week, I followed the directions to a T and the system works great. I have my at&t hand sets plugged into it and they sound great. I have my cell phone ringing with the home phone. The only bug is when I turn off my cell phone it turns off the home phone too. (wierd) I have it it hooked up like option A in the directions. I got an n router with 30m download speed from charter. What is a giga bit router? We couldn’t be happier…the system has worked great! The instructions are self explanatory….we await the new phone as well. You need to start making a list to send all premiere account holders emails to advise them that the new handsets are in. I need one as I never did get one with my initial order. PLEASE as this would add kudos to your customer service. I too, have been waiting for the smartphone to be released. It was announced in Jan. to be released in Mar. and it has been delayed time after time. I’m getting tired of having premier service & not being able to have a second line. I wonder if it will actually be released in the fall. I don’t see why all the whining! First you cannot, “CANNOT’ just plug the Telco into the hub, router, switch etc right with everything else. It will not work! Follow the instructions in the manual. Connect the Telco directly to the providers high speed data you normally would plug into your PC or router, hub, switch. Then plug your router, hub, switch etc into the Telco’s home Internet. Now plug everything else into the router, hub, switch and configure the Telco to provide QOS. Allot a reasonable amount of band width/speed to the Telco. Mine is set to 384Kb up and down. It’s been that way for nearly two years. Works perfectly. Two lines busy and downloading large files while others are browsing and printing etc. I also have a mail server that has tunneling from my home network for in and out going email. In other words SMTP and IMAP. I do not allow POP here. It sux but that’s just my opinion and it’s my call here. I also allow secure shell for remote administrating my email server. I’m sure the Micro$not users are a little confused about what secure shell is but since you have the Internet. Look it up. I also allow Webmail for my users, from inside and outside the network. I only allow SSL connections. Again for the Micro$not users that’s a secure sockets connection like your bank uses. Yes I have tried the Telco plugged in the switch right with everything else. It will not work worth a crap. From most of the griping I see it appears there is a large number of you who just will not invest in the time. RTFM! But you sure will waste a lot of time crying and bitching about it not working even though you’ve been told it won’t work that way. I use my Telco for two lines and never a hitch. I fax with it and since Ooma updated the software to get rid of the *99 prefix it has been perfect. Wasn’t bad even with it. Sometimes I send as many as fifty to one hundred faxes to the political jackasses who are destroying this country by running it as a Democracy which is an absolutely guranteed slide into oblivion. All Democracys commit sucide by the dead beats voting themselves entitlements. Example, “welfare, SSI, Illegal’s on SS and the list goes on. So as we sink I’m screaming all the way. Hang in there and read your Ooma manual, call customer service/support but get it set up correctly and you will love it. It makes Vonnage look like a Model T at the dragstrip with a rail job. If you just want simple free voice then try the voice mail at Gogle mail. If you want quality you’ve already got it. You just need to make sure it’s properly cofigured. I gotta go, wasting too much time for those who will not try it. Won’t read the manual and just cry because it’s not done for them. I love my service and wouldn’t trade it for anything. Any of idea when this handset will be released. Really excited to use this instead of a standard cordless phone. any update on the release date yet?? Been waiting forever and really need additional handsets. While i love the service, this has been very pour planning on ooma by not having enough of the old handsets to sell until the new ones come out. The Handset release date that I received from Ooma, when I was in conversation with them about purchasing the Telo was no later than December 2012. Ok Ooma, when is the new handset coming out??????? An update would be appreciated (since your last/current handset is crap). Thanks! I like the ooma and find it to be an excellent service. Call quality exceeds that of my ATT uverse voip service, and all the extra features are great, especially being able to block telemarketers and “survey” people. I haven’t yet figured out how to block callers that show up without a number. I’d like to see a clickable button next to these callers allowing me to add them to the blacklist. uverse was charging 30 bucks monthly for 250 minutes, 5 bucks more for unlimited. With coma, I paid upfront for the equipment, use my own phones and have never had a problem. I paid up front for premiere too, and it’s worth it. so for a few bucks a month I have the best phone service I’ve ever had. October now… any update with a release date for the new handset? Going on to a year now since the original announcement…still waiting. I’m beginning to have my doubts about this mythical handset and I wonder if it’s even being worked on anymore. Kinda of like “The check is in the mail” or “Of course I’ll still love you tomorrow”.